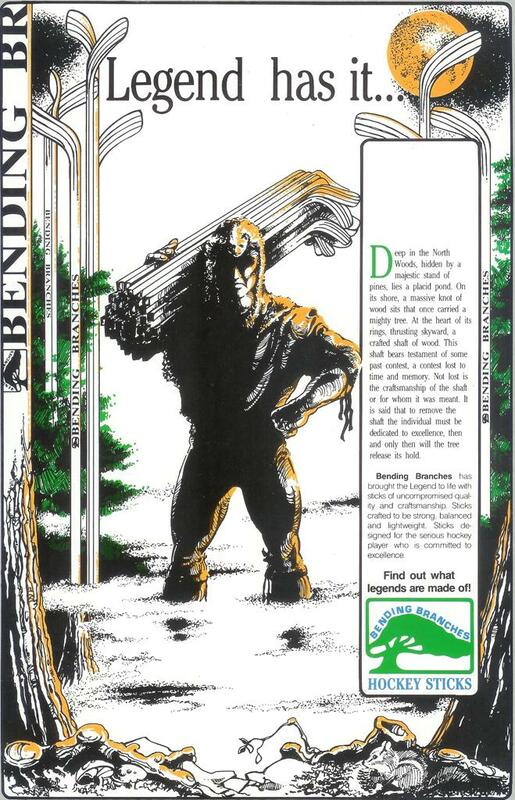 Bending Branches® started in 1982 as “Branches Canoe and Kayak Paddle Company” producing high-end wooden canoe paddles for the canoe and kayak enthusiast. Business success in the summer months led to slow business during the winter- since canoe paddle sales slowed during the winter months. "The manufacturing process of hockey sticks and canoe paddles is very similar", said CEO/Founder Dale Kicker of Branches, "and we wanted a solution to further increase sales during the slow winter months." 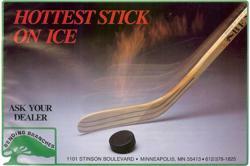 After a conversation with Richard Charbeneau’ at Strauss Skates and Bikes in Maplewood, MN regarding the "manufacturing of sticks" Richard “thought the idea for another Minnesota stick manufacturer was a great idea.” Thus Branches Hockey sticks were born and first introduced at the 1987 CSGA Show in Montreal and were taken by storm. "With good marketing and new product innovation sales of Branches sticks skyrocketed". Rhino Wrap, a popular stick among hockey enthusiasts, was introduced with Kevlar and Carbon materials following the invention of the "Kevlar tipped canoe paddle". 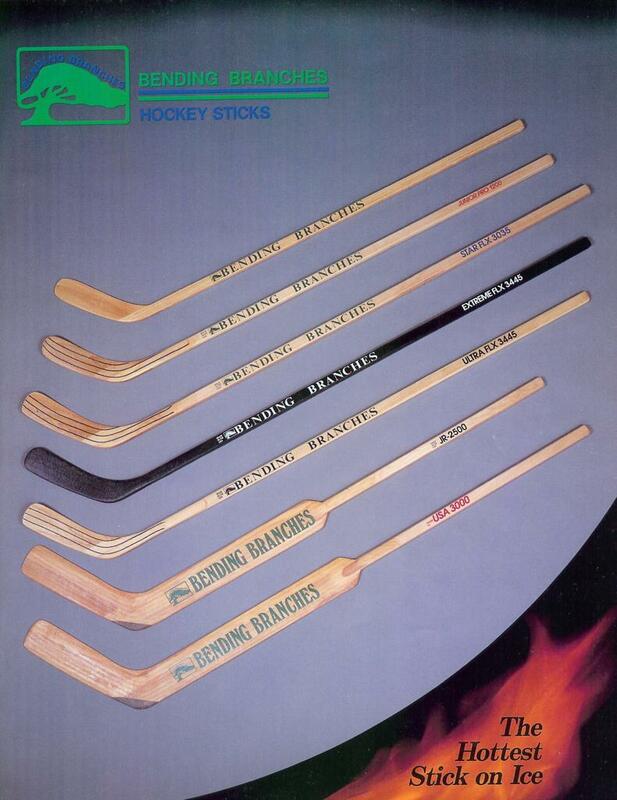 Through 1989-1991 Branches manufacturing produced all of Louisville's pro sticks with their insignia, and through the 90’s (1993-1998) NHL sales peaked with notable players such as Alexei Semenov, Owen Nolan and Pat LaFontaine- to name a few- using Branches lumber. Owen Nolan scored a notable “hat-trick” in the 1997 All-Star Game with what is known today as the “Babe Ruth pointing goal" against Dominic Hasek to notch his third goal of the game. With notable NHL players yielding the Branches brand and the business booming, sales skyrocketed and led the Minnesota based company from its initial location at 1101 Stenson Blvd. to Osceola , WI (where Branches still operates at today) in 1994. 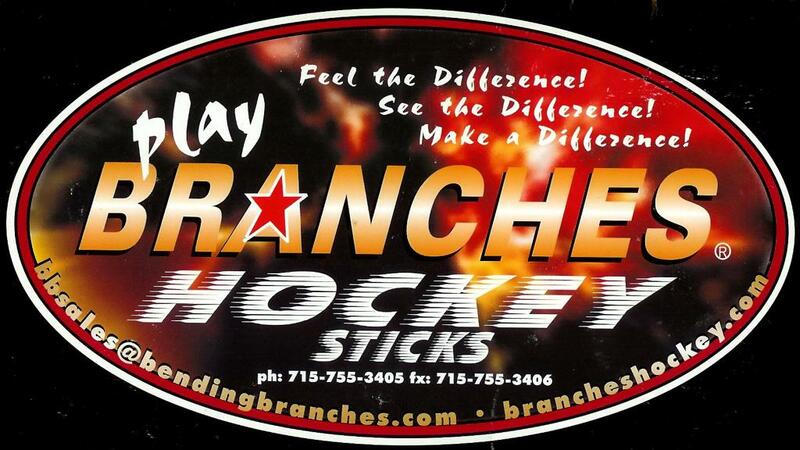 Branches went from a $1.2 million annual operation to a $4.5 million operation from 1994-2000. With increased exposure came increased need for equipment to meet the demand and produce sticks. Water ski entrepreneur Jamie O’Brien of Vermont- whom resurrected the Northland hockey sticks name from bankruptcy- sold all of his “stick producing equipment” to Branches in 1992. Jamie also sold all of the patents, trademarks associated with Northland to the Christian Bros. whom produces Northland wooden sticks today. 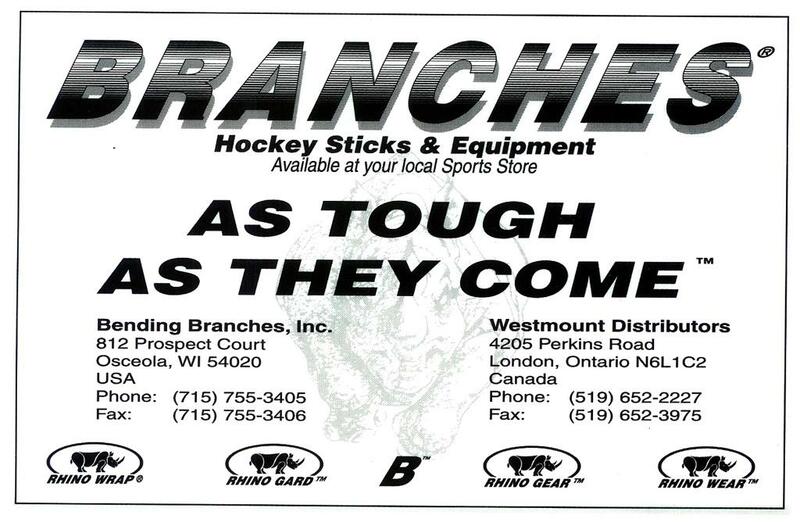 Branches sales continued to boom through the late 1990’s through the company’s motto of: “Innovative product innovation” and eventually spread into replacement blades with the advent of aluminum sticks. 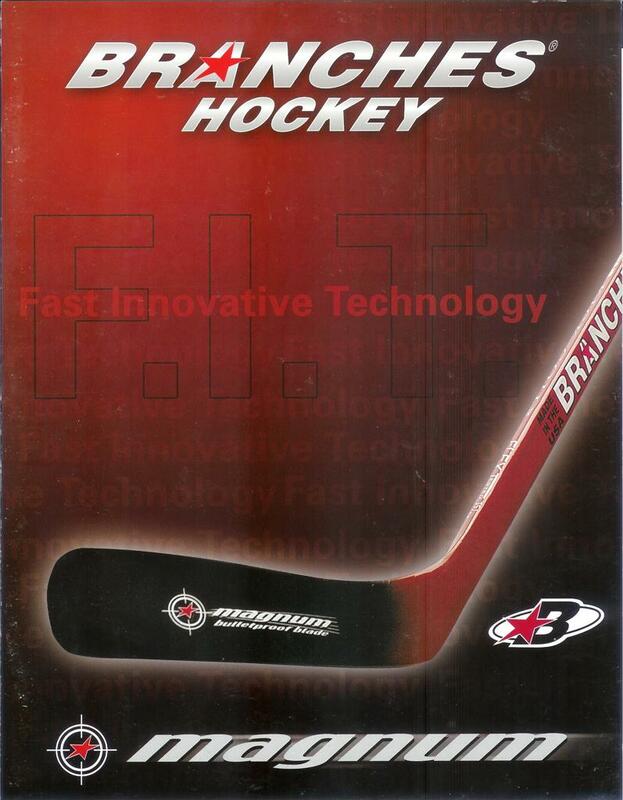 Branches actually beat the “hockey stick giant”- Easton in carbon composite sticks by 3 years when introduced initially in 1991, with Easton ’s first composites hitting the market in 1994. Sales through the US and Canada sometimes boosted overnight with increased TV exposure. Dale Kicker describes that “following a Hockey Night in Canada game on TV during the opening face-off of the game every player on each team at the faceoff circle was using Branches sticks, & Don Cherry of Hockey Night in Canada exclaimed “This isn’t Hockey Night in Canada, this is Branches night in Canada!” Following this televised game a quarter million sticks were ordered from Branches authorized retail outlets through Canada alone!- Thus showing the power of TV and sports marketing”. Branches sticks and paddles continued to be produced and run under inventor/CEO Dale Kicker until 2001 when Branches was sold to entrepreneur Mark Kravik to keep the business growth momentum going since Branches was growing fast and needed an infusion of capital. 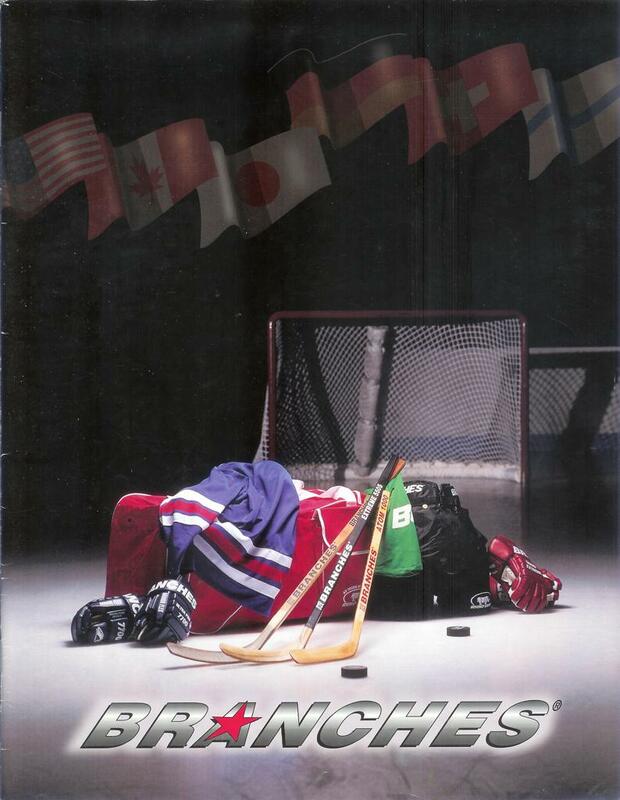 In February of 2003- with the wooden hockey stick being replaced with aluminum and full composite shafts, and the sales of wood sticks falling short of expectations nationally- Branches dropped hockey all together and re-focused entirely on paddles. Today Branches continues to operate in Osceola, WI and operates on its original motto from 1982: New product innovation, service and quality products for the canoe and kayak enthusiast, "Pretty. Smart. Paddles". Dale Kicker today continues to work for the company he started with the titles of: Founder, and Director of Business Development. At VintageMNHockey.com Branches hockey sticks, and their contributions to Minnesota's hockey history will never be forgotten!